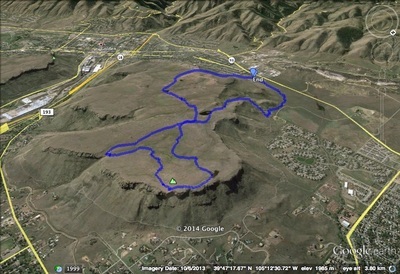 Directions: From Denver take I-70 west to Hwy 58 west to Hwy 93 north. After the pass the strip malls of N. Golden, you'll see the parking area and trailhead on the right. 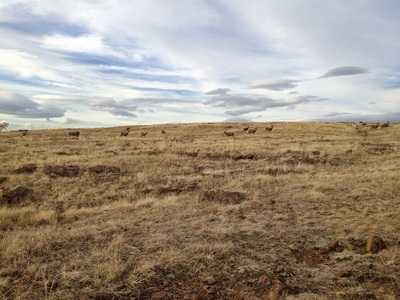 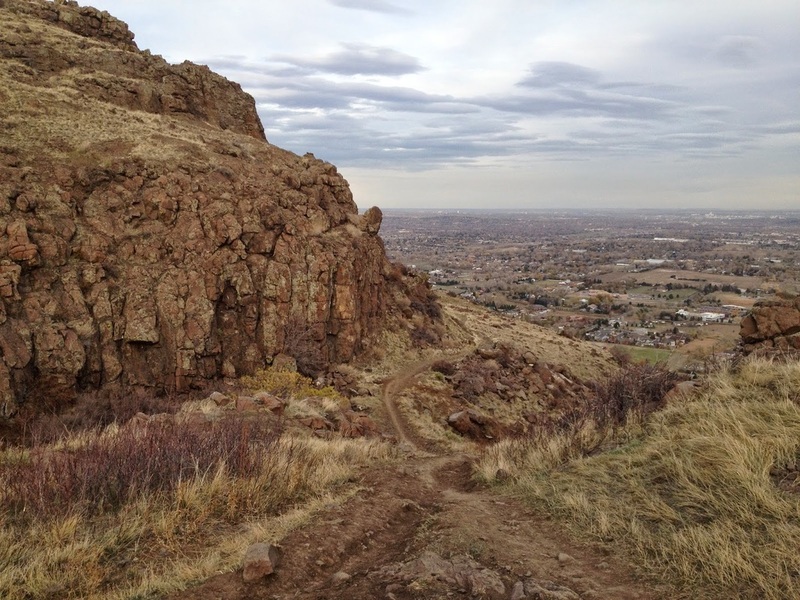 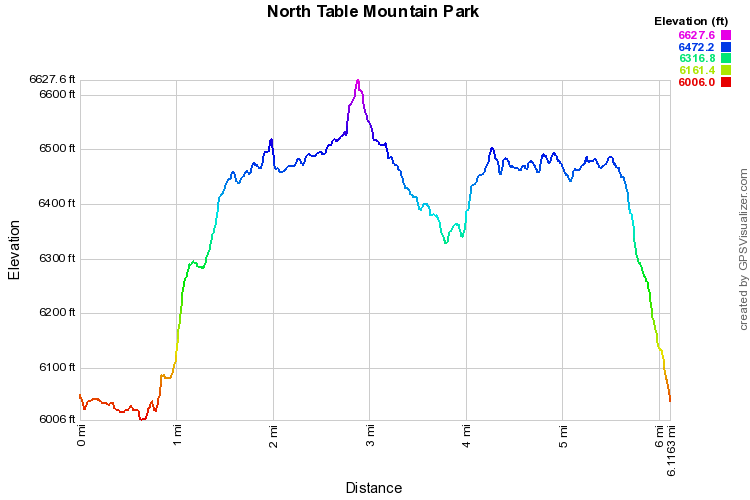 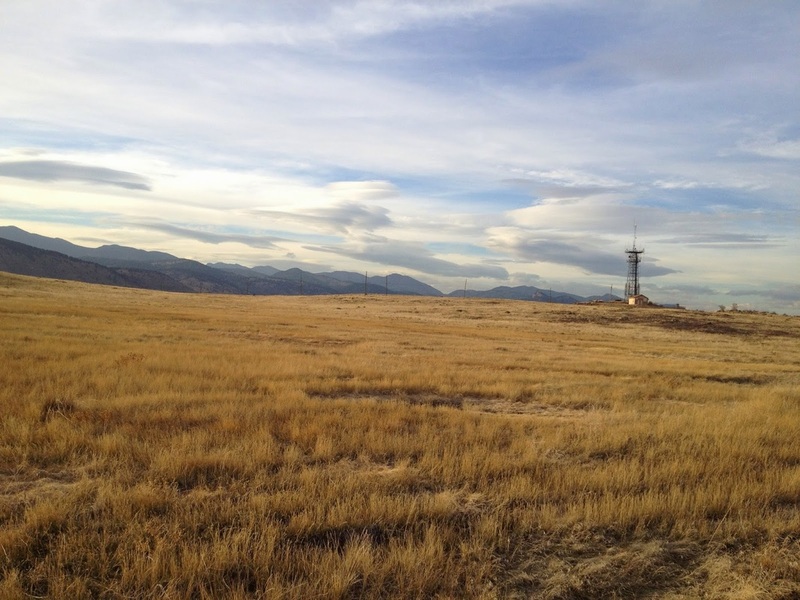 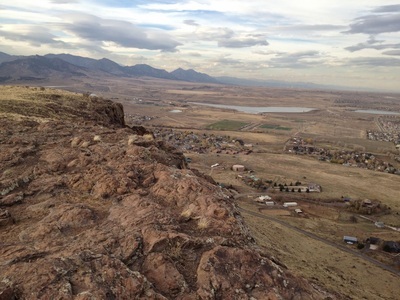 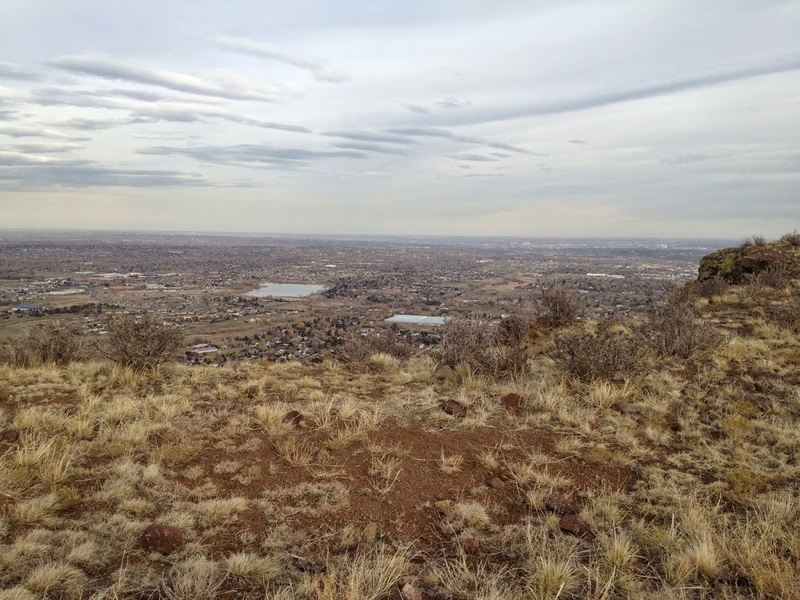 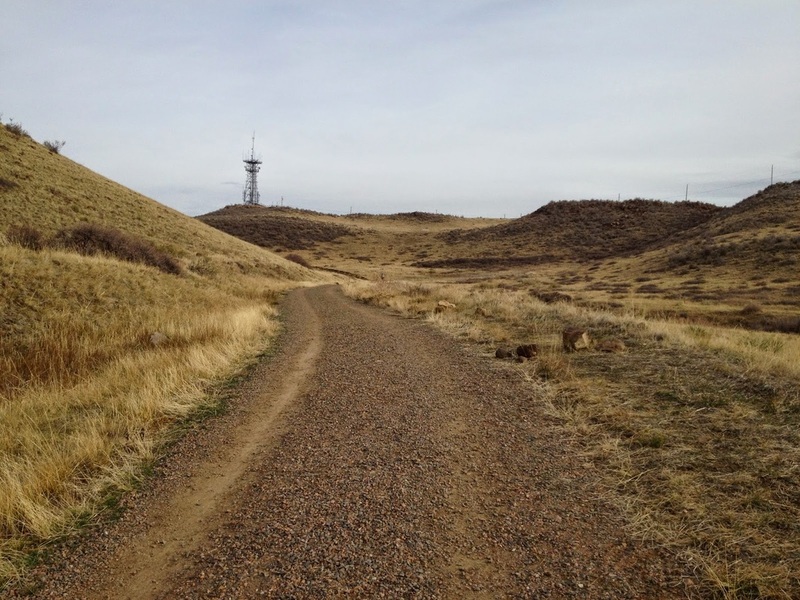 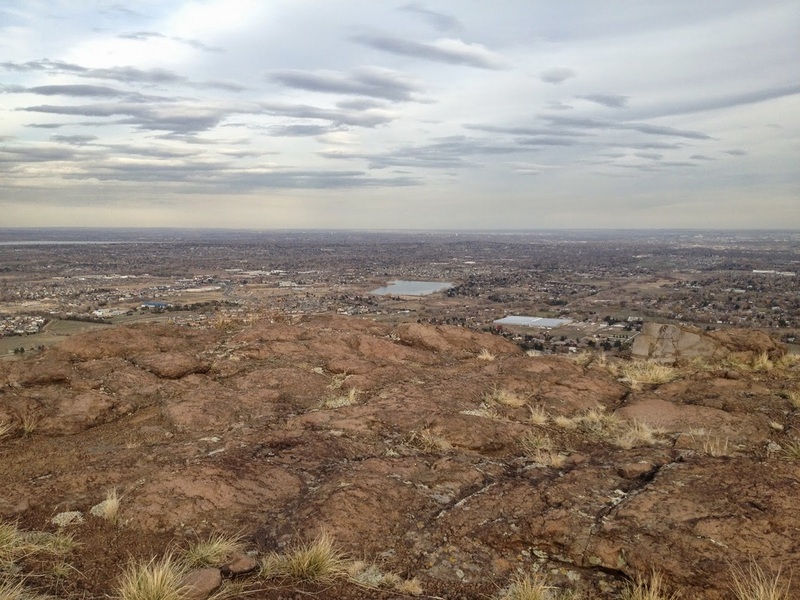 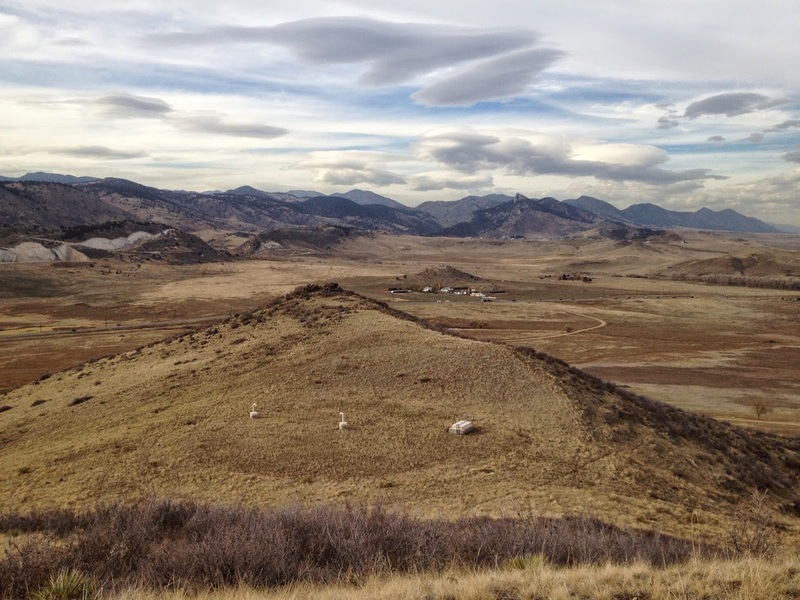 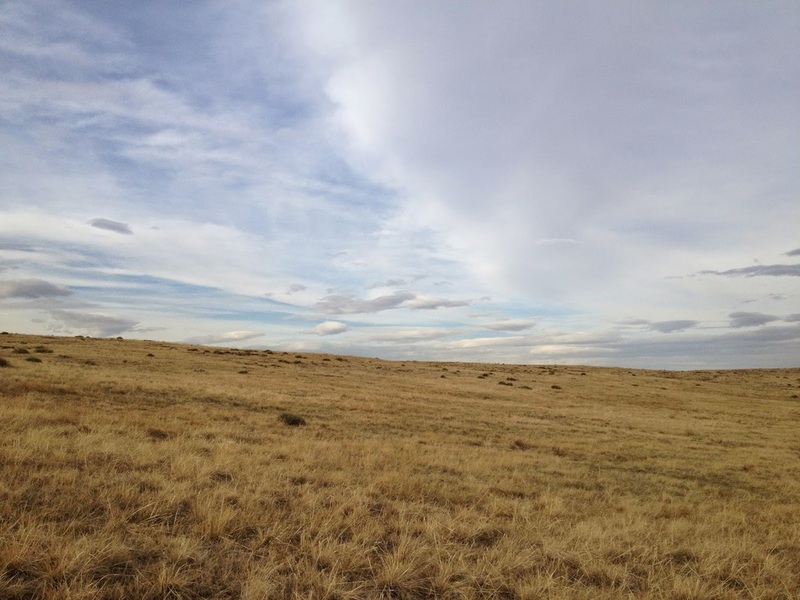 North Table Mountain is a great park to hike in and it doesn't hurt that it is about 20 min from Downtown Denver. 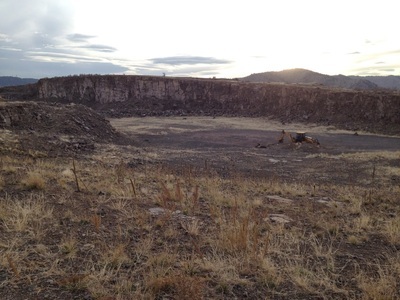 The mesa is large and the entirety of it is undeveloped (except for the high tension wires...bummer...). 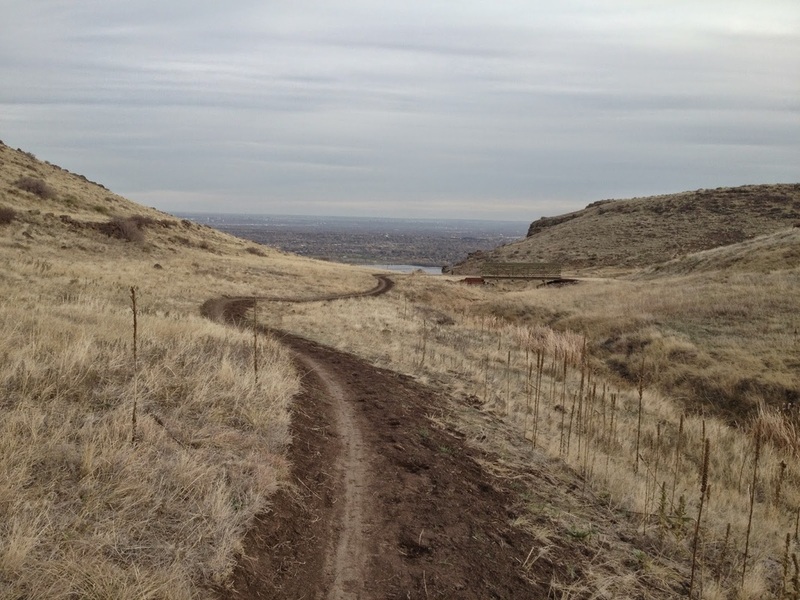 There are seasonal trail closures, and currently some construction to fix flood damage so check the website before heading out. 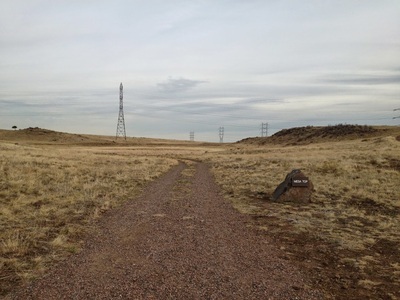 The following 6 mile hike covers the northern half of mesa, A similar hike can be pieced together for the southern half. 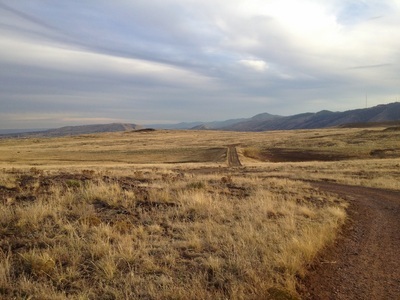 From the main parking area, head north on the N. Table Loop for .8 miles. 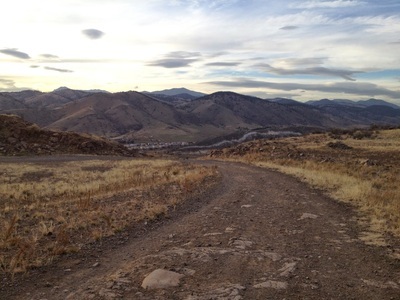 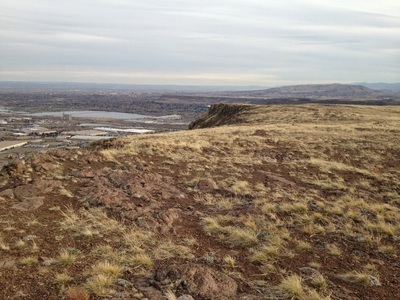 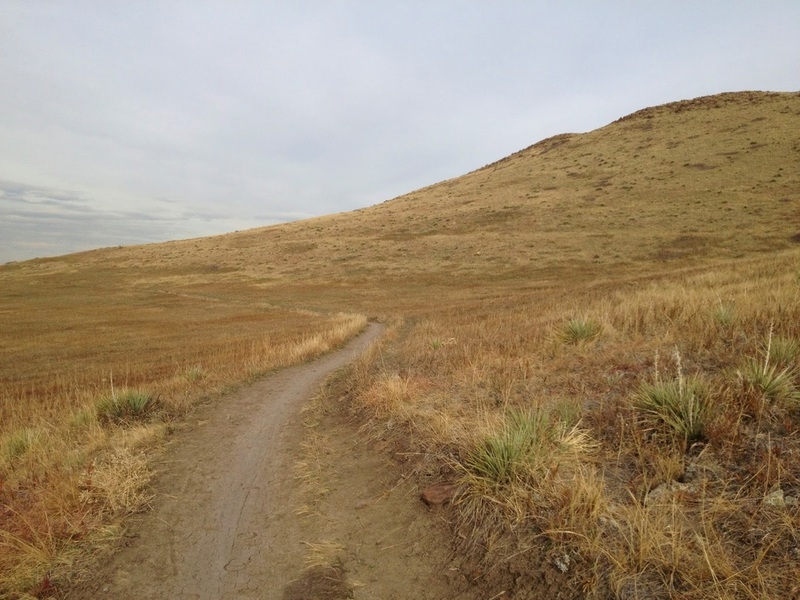 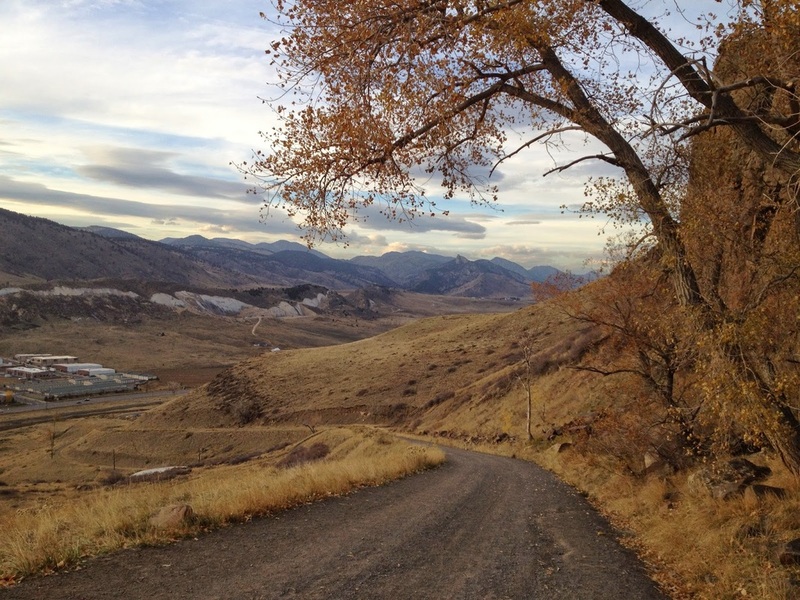 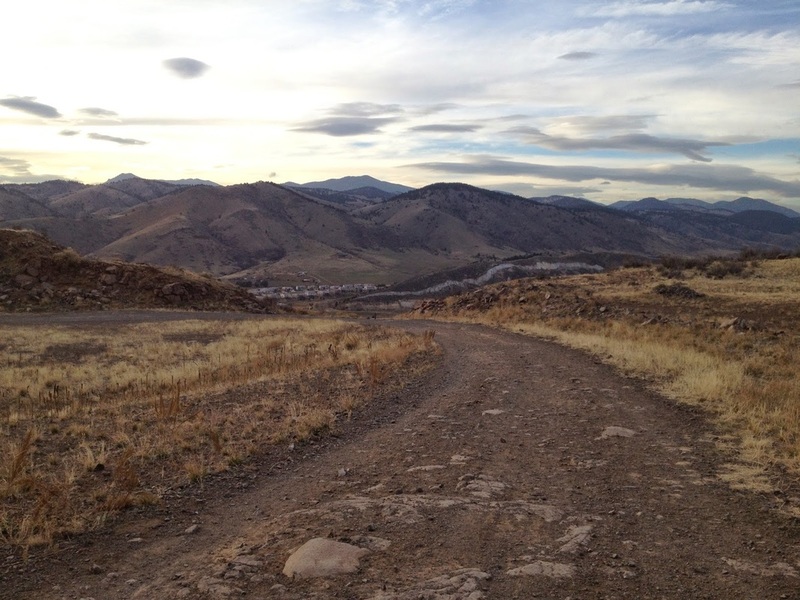 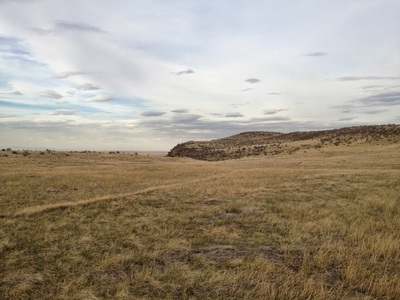 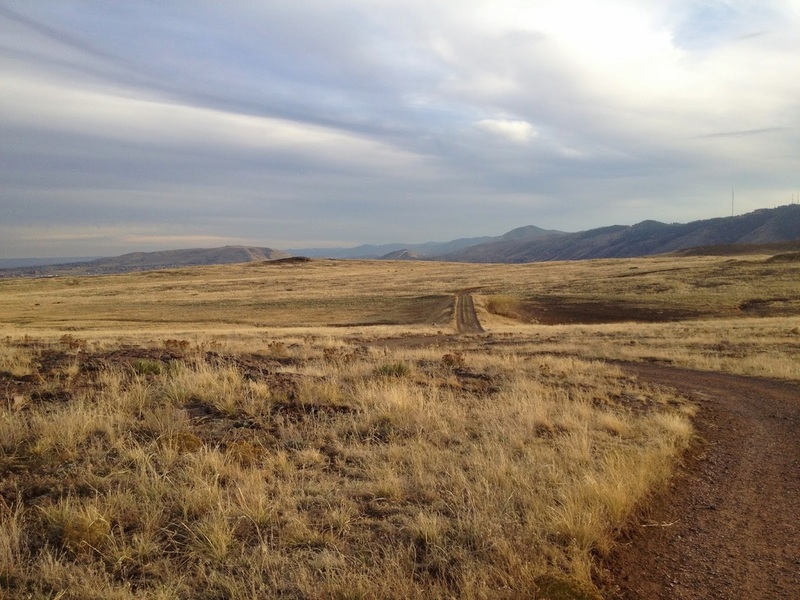 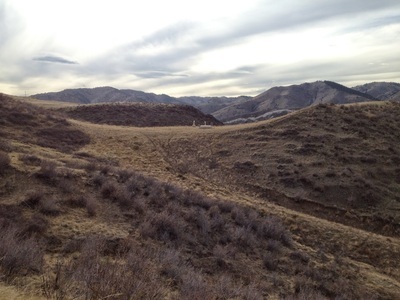 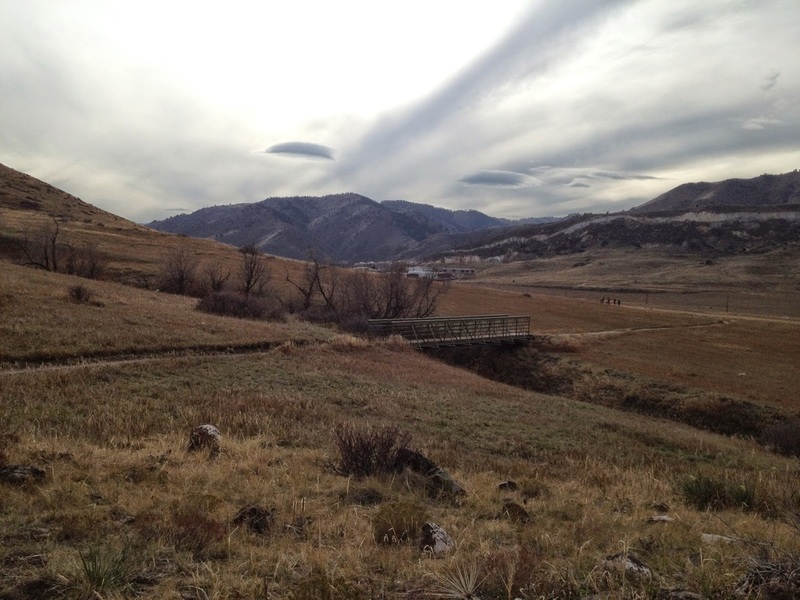 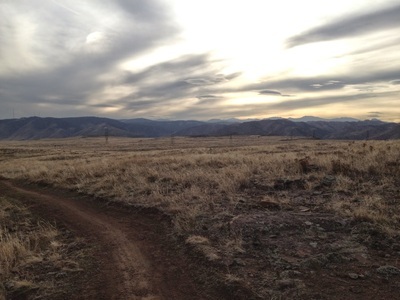 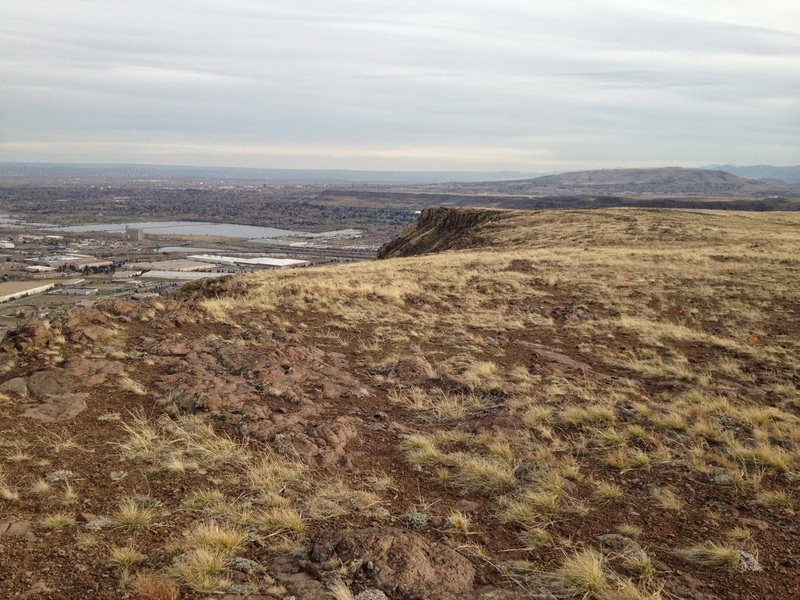 This trail skirts the base of the mesa and curves around from the west to the north slopes. Turn right on the Mesa Top Trail for .4 miles as it ascends the mesa through a side canyon depositing you on the mesa top. 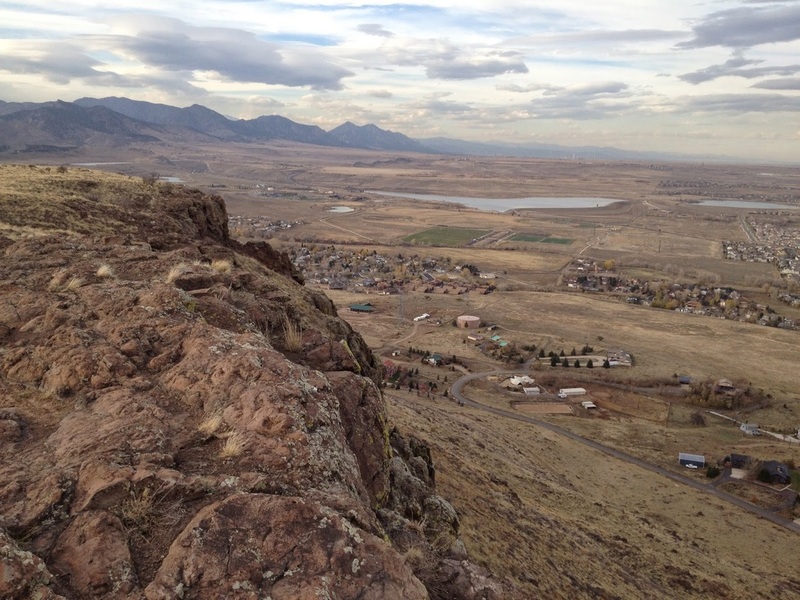 There are great views here north to boulder's flatirons. From the Mesa Top Trail, look for the large Rim Rock Sign and wood fencing. 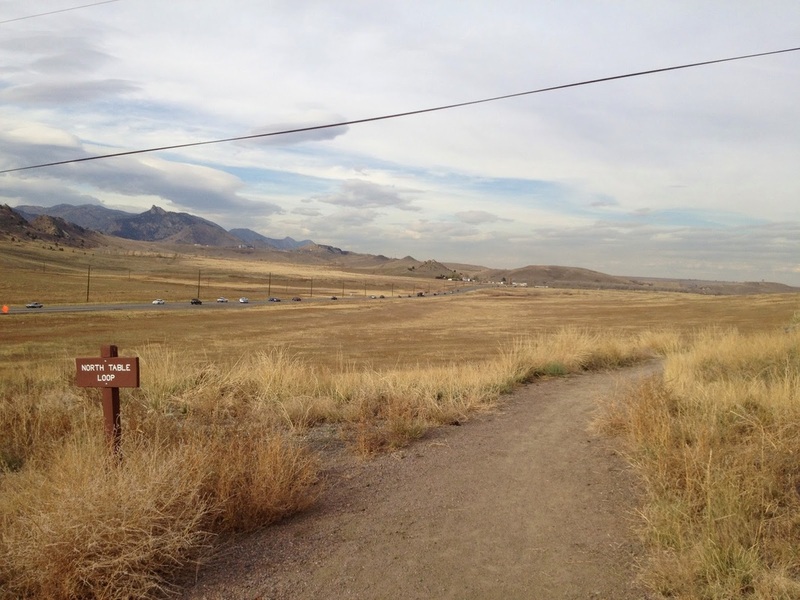 This loop may not be open depending on the time of year, but if it is, turn left here. 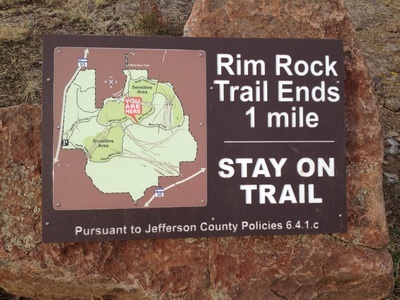 The Rim Rock trail is wonderful. It leads you to the edge of the mesa and follows it for quite awhile. 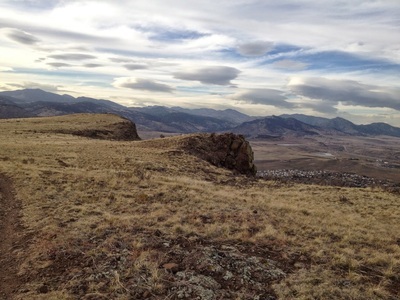 The views from this segment are expansive looking north and east. 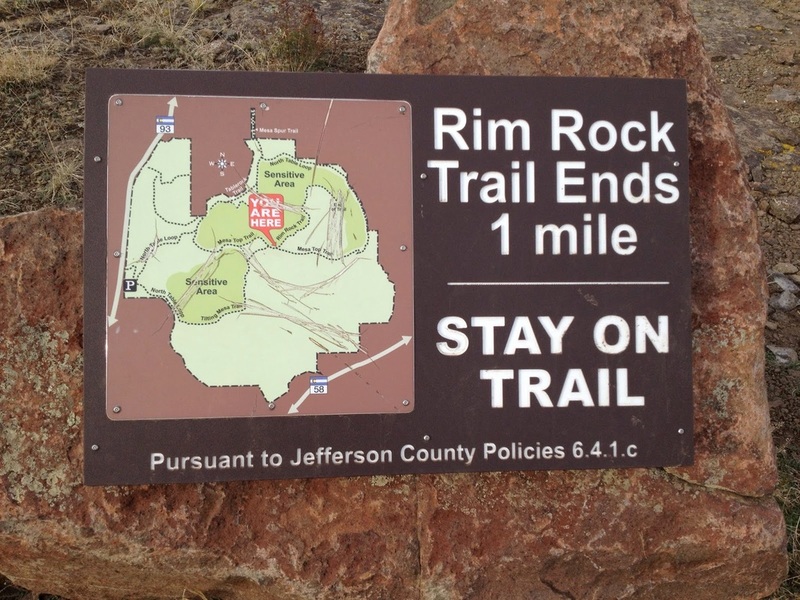 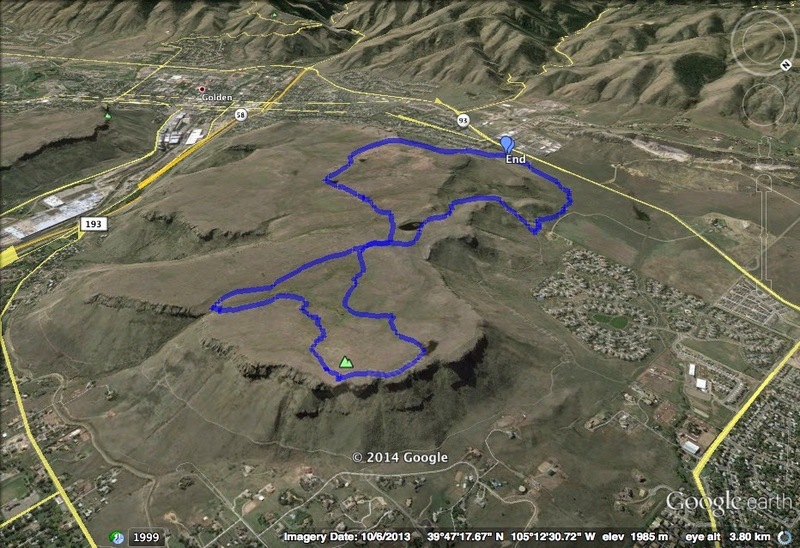 The Rim Rock Trail will put you back onto the Mesa Top Trail about .5 mi east of the start of the loop. 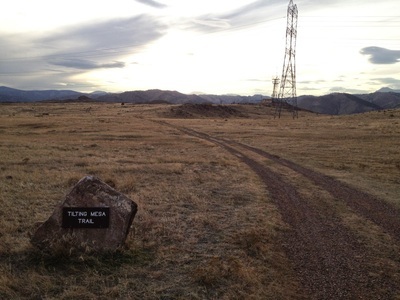 Travel back on the Mesa Top trail past the Rim Rock sign and turn left (south) onto the Tilted Mesa Trail. 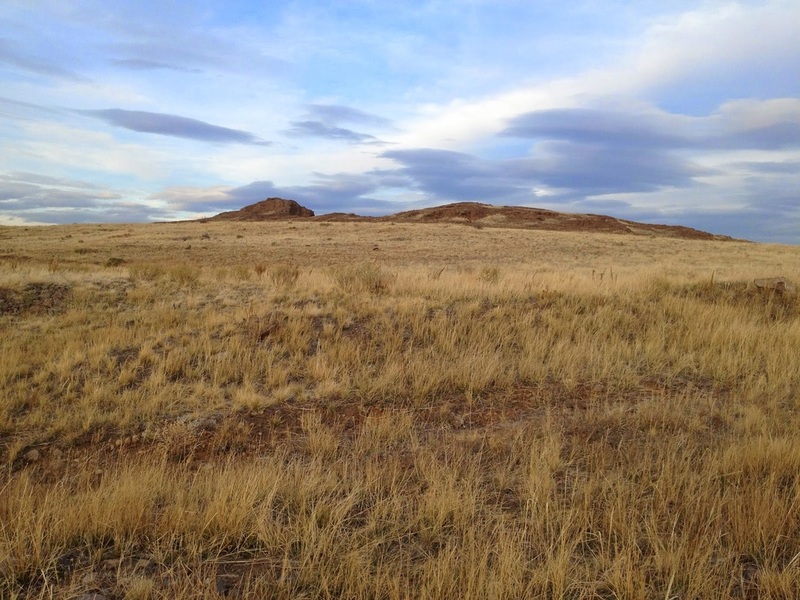 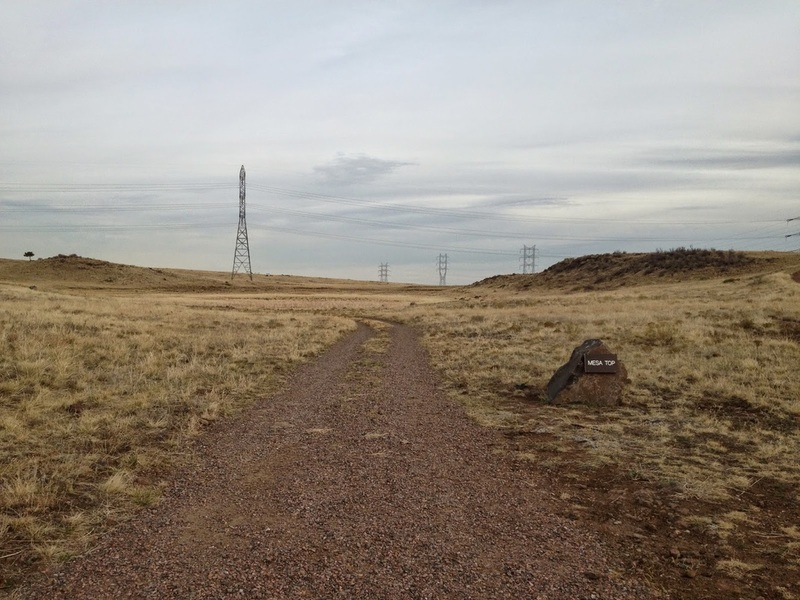 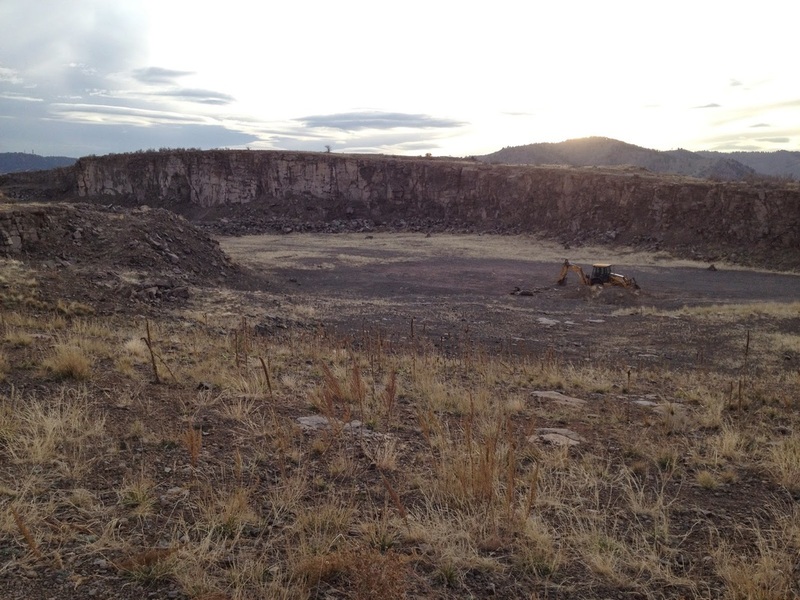 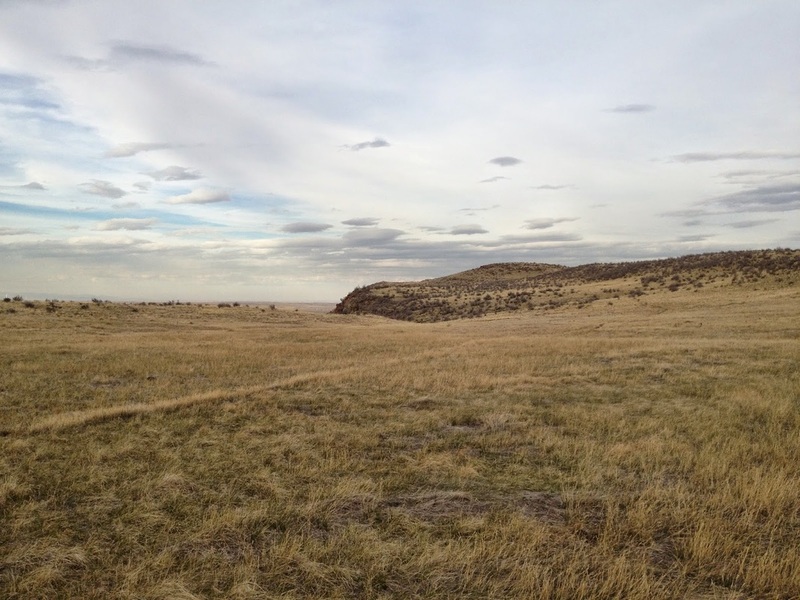 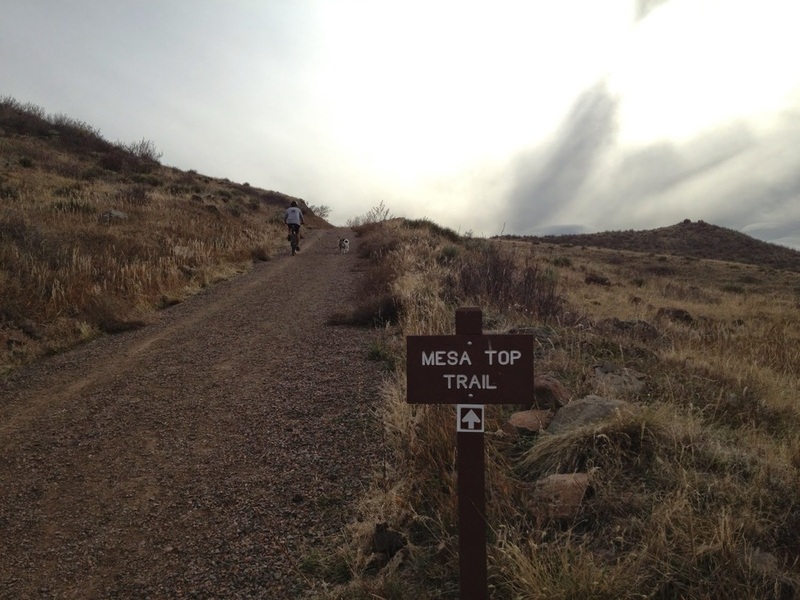 This trail will take you back to the west, past a weather station and an old quarry to the North Table Mesa Loop Trail. From here follow the wide road back to the parking area.